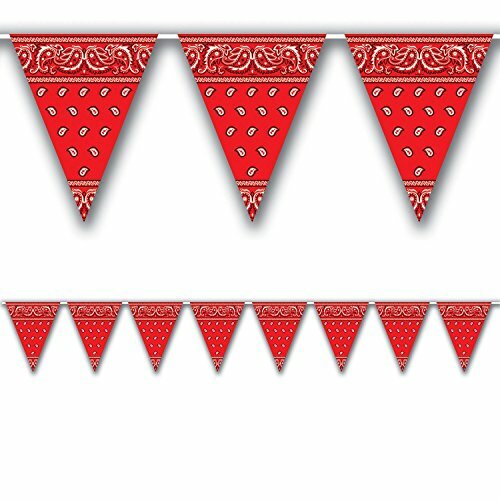 Beistle 57720 Bandana Pennant Banner (3-pack) This pennant banner has a red bandana design. It is made of an all-weather plastic material and has 12 pennants on the string. Each pennant banner is 10 inches tall by 12 feet wide. Beistle 50081 Inflatable Cactus. This big inflatable cactus is a great desert decoration to add to your Western decorations. 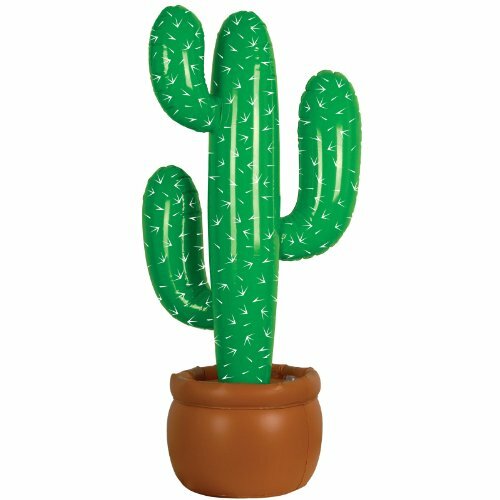 Create a Western feel by adding this cactus to your decor. 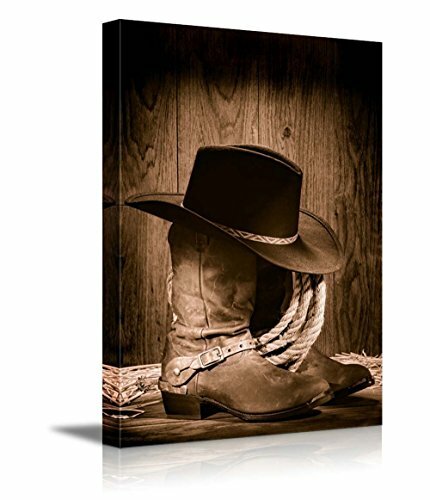 Wall26 Canvas Prints Wall Art - American West Rodeo Cowboy Black Felt Hat Atop Worn Western Boots Vintage Style |Home Decoration Stretched Gallery Canvas Wrap Giclee Print & Ready to Hang - 16" x 24"
Beistle 52158 Western Wanted Photo Fun Frame. This photo fun frame says "Wanted" at the top and "Reward 1000" at the bottom. It is made of board stock paper and measures 23.5 Inch tall by 15.5 Inch wide. 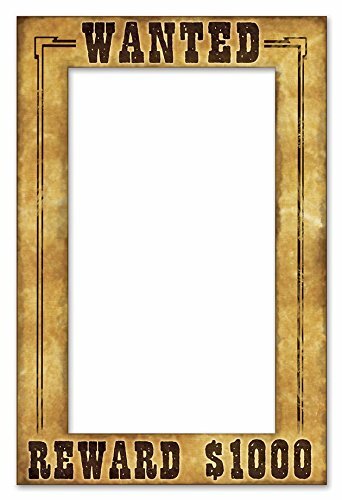 Have the guests hold this frame up to their faces to take lots of fun photos at your next western party!. Beistle 57350 3 Dimensional Western Centerpiece. This centerpiece is printed on board stock and measures 11 Inch. 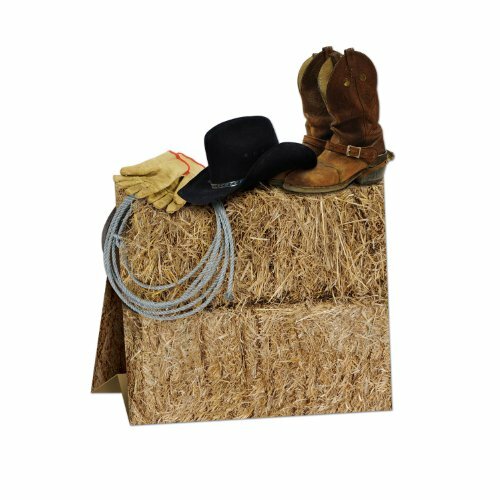 The design is of a straw bale with a lasso rope, gloves, cowboy hat and cowboy boots. Set this centerpiece up on each of your tables for a western look. Great for western wedding decorations, doll or bear craft projects and other craft projects . Beistle 52038 Wild West Town Props. 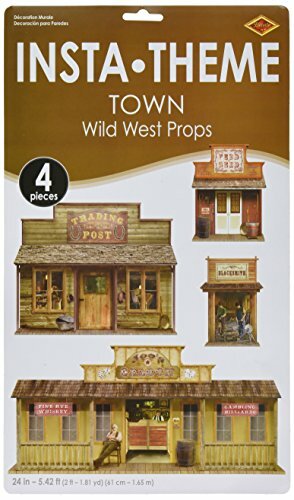 The package includes 4 pieces of plastic town props. They are printed on thin clear plastic and range in size from 24 inches to 5 feet 5 inches. Props are not free-standing. They are printed on thin plastic material to be cut apart and attached to walls. Great to go along with the plastic backdrops. If you are going to have a photo booth, then having the best photo booth props is a must. 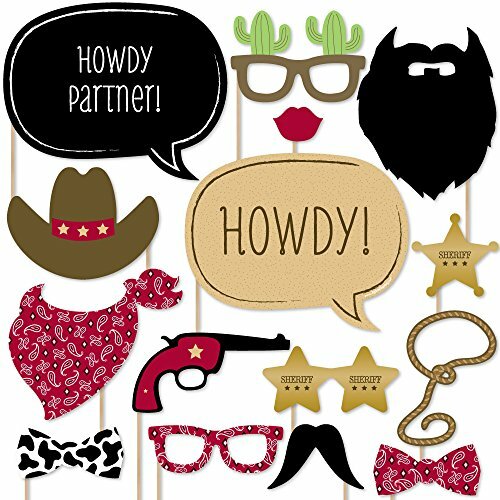 Our little cowboy western photo prop cutouts will help you easily create fun party photos at your party. The photo booth prop kit comes with 20 pieces and is ready for quick assembly. Simply add the included wooden dowels to each prop, attaching with the included clear stickers, and display alongside a fun photo booth backdrop. Your party guests will enjoy using the fun faces and accessories to liven up your photos! 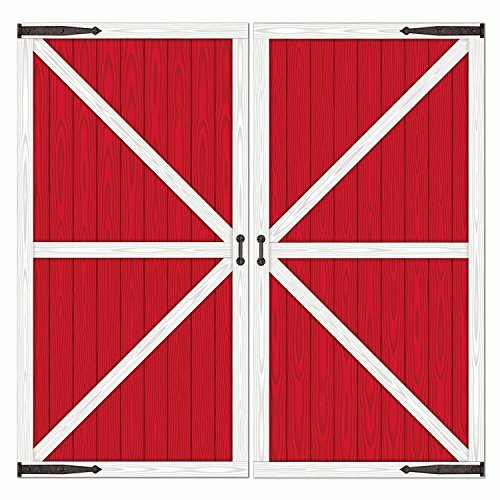 Western decorations ideas Country western decorating ideas with western decor, rustic western accents and unique western gifts wholesale direct. 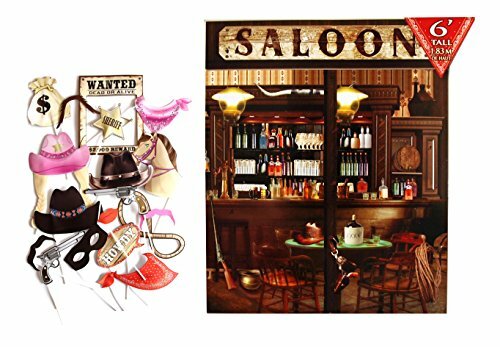 Western Bath Accessories will saddle up your cowboy decor and provide a rustic selection of Wild West furnishings for your bathroom. 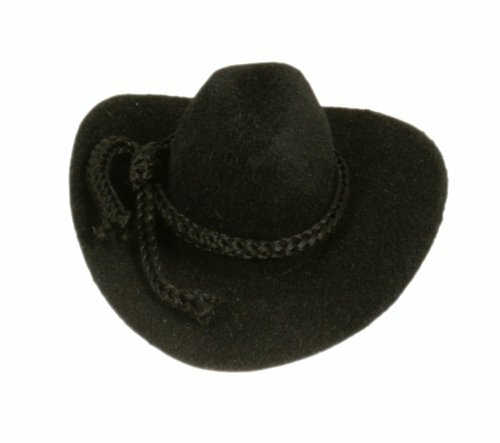 Compare prices on Western Decorations at ShoppinGent.com – use promo codes and coupons for best offers and deals. Start smart buying with ShoppinGent.com right now and choose your golden price on every purchase.